Fashion Street Style England Jade Rose Blog: 4th of July | Outfit Post. Happy 4th of July to you! Today is Mr. and I's anniversary so we will be heading out of town on a little day vacay! Woot woot! I packed some sparklers as a necessary item, I have loved them since I was a kid. 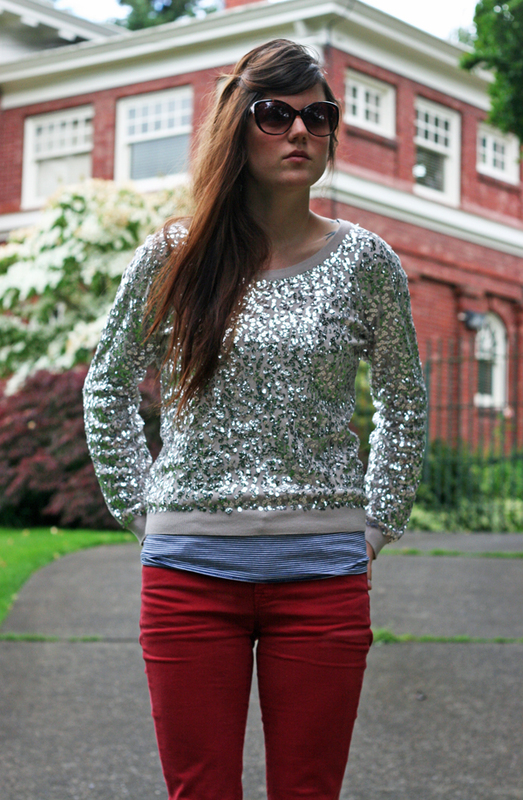 In fact, I love them so much I bought this sequin sweatshirt because it reminded me of sparklers! 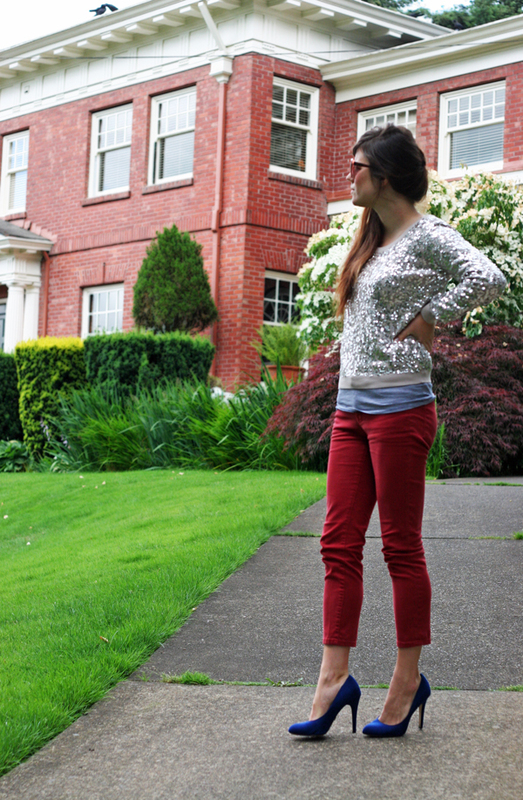 So what better way to celebrate Independence Day then with a red, white, and blue outfit with sequins! This is so great. Love that sweater and you are adorable! !